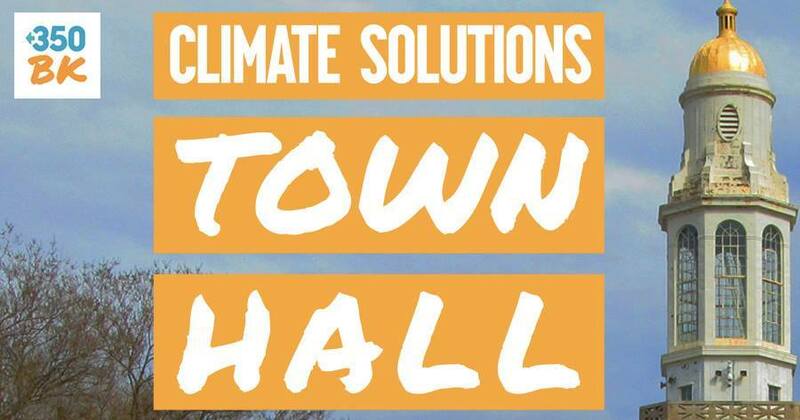 Less than a week until our Town Hall. Don’t Forget to Get Your Free Ticket! At least seven state legislators have already committed to attend our October 24 Town Hall. This is an important opportunity for Brooklynites to tell them we are serious about climate change, and they must provide serious leadership and take aggressive measures to address the crisis of global warming. The event, a partnership with Brooklyn College Urban Sustainability Program, takes place on October 24 at 7pm at the Brooklyn Brooklyn College Student Center, 2705 Campus Road (view map). There will be students, activists, concerned citizens, climate leaders, and you. This is a free event, but tickets are required. If you haven’t already, get them here. Invite your friends. A personal invitation always works best. With an unprecedented storm sweeping through Ireland, Puerto Rico still struggling to recover from Hurricane Maria, and California recovering from record breaking fires, we all know action is urgent. Join us on October 24, and let your elected leaders in Albany know that you are holding them accountable. Thus far, the following legislators have committed to attend: Assembly member Jo Anne Simon (D – Distr. 52); Sen. Diane Savino (D/IDC – Distr. 23); Sen. Roxanne Persaud (D – Distr. 19); Assembly member William Colton (D – Distr. 47); Sen. Jesse Hamilton (D/IDC – Dist. 20); Assistant Speaker Assembly member Félix Ortiz (D – Dist. 51); Assembly Member Robert Carroll (D – 44th Dist.). 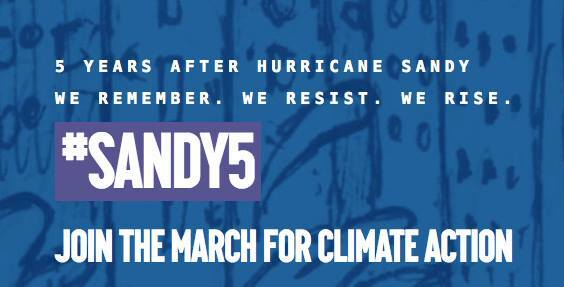 What: Join fellow New Yorkers in a march to remember the lives lost and the damage caused by Sandy and to demand climate action from Mayor de Blasio, Governor Cuomo, and Senator Schumer. We’ll meet at the western edge of Cadman Plaza. Look for our Slay the Fossil Fuel Monster banner. Where: Meet at at 14th Street and 7th Avenue. What: It’s an annual tradition! We’ll hoist up our pipeline monster and our 350Brooklyn banner and march down 7th Avenue. We’ll join with Artichoke Dance Company who will be parading in their signature plastic bag costumes to draw attention to the damage wrought by plastic waste.